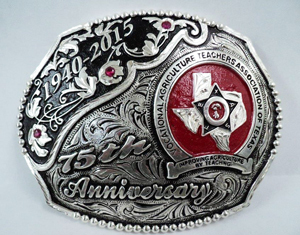 The Vocational Agriculture Teachers Association of Texas 75th Anniversary Belt Buckles are $75. All proceeds go towards the VATAT Scholarship Fund. 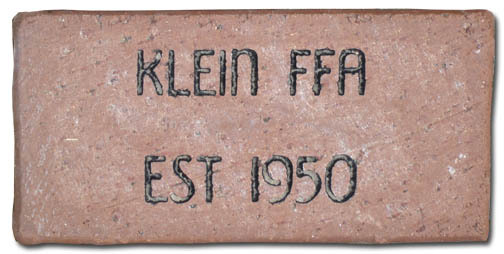 Purchase your personalized brick to be placed in the walkway of the Ford Agricultural Education Texas FFA Leadership Center. There are a limited number of bricks remaining--order yours today! Download the brick order form below or purchase one at VATAT Online!